As dogs enter old age, from 7-9 years, they become weak and vulnerable to diseases. A harsh ailment confronting some dogs is osteosarcoma (OS) –cancer of the bones. 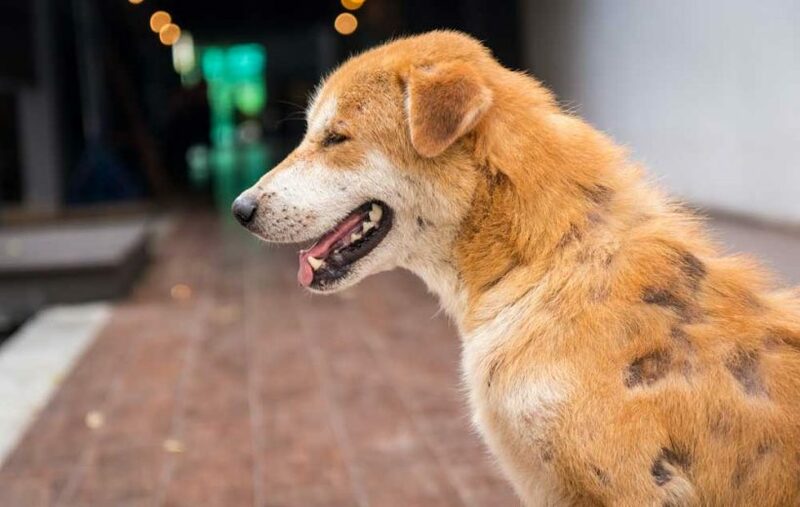 Untreated, it rapidly spreads, and dogs diagnosed suffer an early death. Let’s find out exactly what the symptoms of bone cancer in dogs are. According to the Nation Canine Cancer Foundation, OS accounts for about 85% of all malignancies originating from the skeleton. In all cases, cancer tumors grow deep within the bones, leading to excruciating pain. 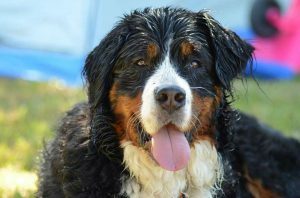 With no cure, dog owners can only hope to relieve the pain and prolong life using conventional cancer treatments. Dogs that are under 30lbs account for 5% or less, of all diagnosed cases. Giant and large breed dogs are more afflicted because of size and weight. Mostly, the median age of the development of the condition is seven years. Giant dogs breed most affected include the Bernese mountain dog, Great Dane Great Pyrenees Irish Setter, Newfoundland and Saint Bernard. For large breeds, examples include Boxer, Doberman pinscher, German shepherd, Golden Retriever, Rottweiler, and Weimaraner. According to the Nation Canine Cancer Foundation, osteosarcoma may affect any bone. However, limbs comprise up to 75-85% of the infections. It can also attack the axial skeleton made of the spine, ribs, etc. In addition, symptoms of bone cancer in dogs can manifest in other parts of the canine’s such eyes, bowels, kidneys, liver, mammary tissues, etc. But first, tumors, will sprout from the bones and grow outwards. 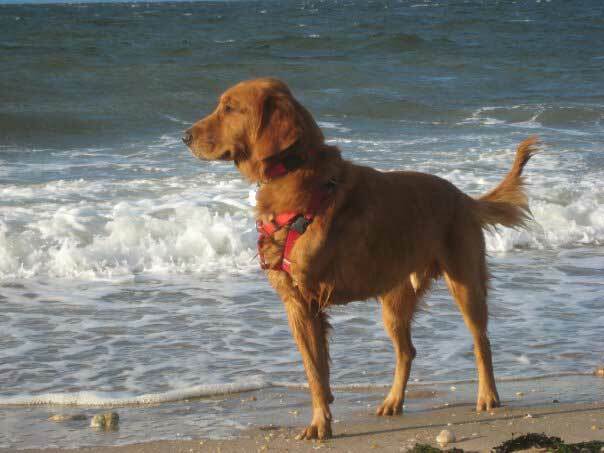 Younger dogs diagnosed with OS, from 4 1/2 to 5 1/2 years have tumors in the ribs. Though rare in smaller breeds, when it occurs, it chiefly affects the axial skeleton. Limping: OS will cause pain and discomfort; subsequently, lameness will occur. Also, swelling in affected areas may be noticed. Fractures: Evidently bones afflicted with tumors are weak, and slight impacts may lead to cracks. Also, fractures may occur in the sites with swelling. Breathing: Difficulty in breathing, with frequent sneezing, may come about. The dog can become fatigued and lose appetite. Reduction in Weight: This can go hand in hand with lost appetite. In addition to these symptoms, others signs exist depending on the location of growths. For instance, dogs affected by cancer at the jaw bones may have trouble opening the mouth. Nurture the habit of checking for small lumps under the skin. Don’t ignore small ones since OS can propagate very fast due to its aggressive nature. Furthermore, watch out for unexplainable, rapid weight loss, snapping and appetite changes. Most symptoms of bone cancer in dogs can go unnoticed, thus be extra cautious especially for old dogs (7 years+). If you sense that the dog is in trouble, take them to the vet. You Might Ask, Why My Dog? Unfortunately, the causes of the ailment remain a mystery. However, researchers have attributed the onset of OS, to the possible injuries of the growth plates in the bones. The slight injuries occur due to repeated trauma due to the weight of fast growing large puppies. Dogs with previous fractures and those that have undergone surgeries are also at high risk. 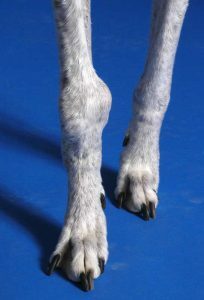 Particularly during operation, if metal implants or bone transplants were inserted, the dog’s probability of developing OS is thought to increase. Avoid giving your dog foods that trigger fast, uncontrolled growth. Instead, provide them with a healthy diet accompanied with natural supplements such as CBD dog treats; we will get to it in a bit. The disease progresses in three stages. 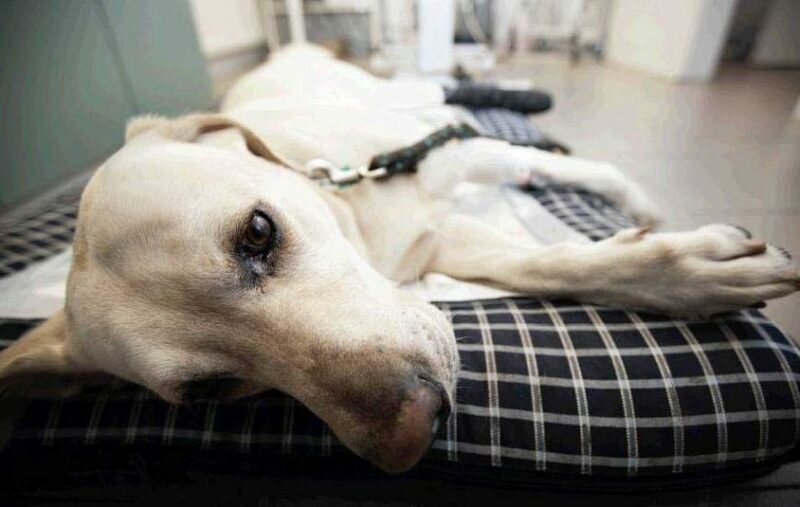 First, the dog will have low-grade tumors, which become high-grade tumors and finally, metastasis occurs. Though it is challenging to spot, X-rays for the dog’s chests are the first tests conducted. They also help in determining the stage of cancer. The vet can draw fluids from the canine’s lymph nodes if they are swollen. When placed under the microscope the doctor can check for abnormalities. Further tests conducted on the animal include blood tests, scans of the bones, and CAT scans. Realize that, the goals of cancer treatments, similar in humans, are to prolong life and reduce the pain. The best step is identifying and stopping the ailment earlier on. Dogs at the third stage (metastasis) have 10% chance of making it past one year. During this situation, amputation of the affected part is done, to promote their survival. Chemo drugs prescribed aim to kill all rapidly-diving cells in the animal’s body. However, they must be used in conjunction with surgery. The therapy is highly disadvantageous because drugs also kill healthy cells. Unlike amputation, limb-surgery involves replacement of the affected bone with a metal implant. It is done where the tumors are not extensive are small confined only to the bone. Radiation is administered to the tumors, though it is not highly effective in killing all the cells. It is only done to slow the progression of the disease and improve the pain. Many studies have already shown that CBD can help aid the relief of many cancer and chemotherapy side effects like pain, nausea, vomiting & loss of appetite. Studies have also shown that CBD has many anti-cancer properties by blocking cell growth, preventing the growth of blood vessels that supply tumors, antiviral activity & relieving muscle spasms caused by multiple sclerosis. To learn more about CBD and its health benefits for dogs, read this informative short guide. You might also enjoy our full Conditions & Ailments guide. I can say that CBD can also help treat the other side effects caused by cancer (pain, nausea, appetite loss, inflammation). Hope this helps. Hi Rebecca. I found out 2 weeks ago that my pointer mix has bone cancer. I like you am devastated and am not looking forward to what is ahead. Would like to connect with someone who is also going through it. Please let me know if you would like to keep in touch to get each other through.